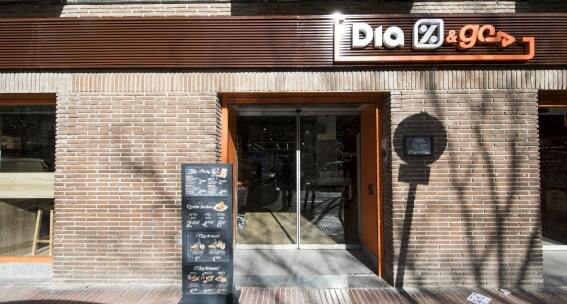 The first store to use the DIA&go brand in Madrid, was a test laboratory for technology designed to reduce gases. More than thirty stores house the DIA&go format, which is based on the British convenience store concept; the principle of which is to be open for longer hours and to sell a wide range of ready meals. In addition to the significant technical challenges, the transition to the DIA&go format has required a strengthening of the brand’s environmental commitment. 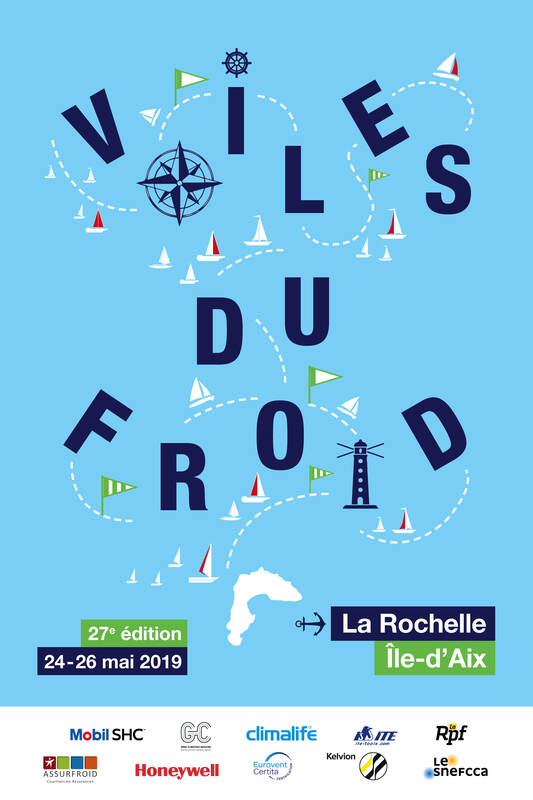 « We are taking part in the Carbon Disclosure Project (CPD) and are committed to managing and controlling the use of refrigerants, taking into account the efficiency and sustainability criteria detailed in its environmental policy. We are aware of the importance of reducing the average power consumption and GWP of our stores », explains Gabriel Sánchez, DIA Energy Efficiency Manager. Climalife has been supporting the DIA Group for many years. « Indeed, we tested R-450A four years ago in an area of extreme heat and were very satisfied with the results. This past experience and our trust in Climalife and Honeywell made us choose this gas », adds Sánchez. Pedro Casero (Technical Auditor), Inmaculada Ramirez (Energy Efficiency Technician) and Alma Román (Sustainability Manager) from DIA explain why they chose this renovation : « We wanted to reduce the average store GWP and costs by using existing equipment still in their depreciation period ». Between January and June 2018, 17 DIA&go stores using R-404A were switched to R-450A, plus further store openings were carried out with Solstice® N13; totalling 37 supermarkets. According to Pedro Casero, it was selected for « 3 reasons : its low GWP, the fact that the needs of the store correspond to its cooling capacity and that we can make use of the central unit. Sometimes we even use LT compressors to make them work as chilled units without any problem, since the workload of a LT R-404A compressor is similar to that of a MT R-450A compressor ». Innovative solutions increased energy efficiency in some cases : « MT cooling was generated by a central unit that we wanted to continue using because of the good performance it has given us over the years. We integrated a PLC system in order to equip it with a ﬂoating HP. We reprogrammed the central unit by inputting the necessary calculations to integrate the ﬂuid change » explains the auditor, Casero. The DIA Group also considered two important points. 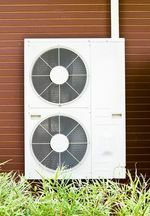 The pipes may have been too small, leading to a worsening of the average pressure drop, but above all a 35 to 45% decrease in refrigeration capacity at the central unit, depending on the outside temperature. The auditor added that if the installation could withstand this loss, it could have significant advantages: "it will work at lower pressures and will no longer cut off at HP during hot periods; the condenser becomes oversized and the average pressure is reduced by half. This reduces machine stress and the risk of leakage." If the system does not assume this loss of power or pipe sizing, R-450A can be used with the existing ones by installing double glazed doors with insulated walls on the display cabinets, halving the cooling capacity and avoiding significant energy waste. 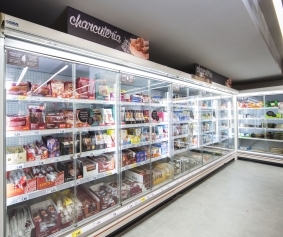 The efficiency and operation of the installation has been improved : « because only 80% of the refrigerated units required refrigeration at the same time, we reduced the refrigeration requirements by 40 to 50% » explains Casero. In addition, the doors allow evaporation from -10°C to -6°C, which significantly reduces the actual power loss. « The optimal solution at all levels : efficiency, profitability, product quality, store image and a strong commitment to the environment ». Pedro Casero, Technical Auditor, Grupo DIA. « We reduce the GWP of the installation, we make it more efficient, we save energy, we guarantee better product conservation than any other type of open cabinet and we stop customers getting cold near the cabinets... an improved shopping experience for our customers. This success is fully in line with the new DIA&go store model », Inmaculada Ramírez, Energy Efficiency Technician, Grupo DIA. « We are very concerned about the company's CO2 footprint, and refrigerants come second after electricity consumption, therefore Solstice® N13 is perfectly suited. Example: in the case of a 100 kg leak, the use of R-450A can reduce emissions by more than 332 t CO2 eq. This, coupled with an improved energy eficiency due to ﬂuid change, translates into an improvement in our carbon footprint » Alma Román, Sustainable Development Manager, Grupo DIA.